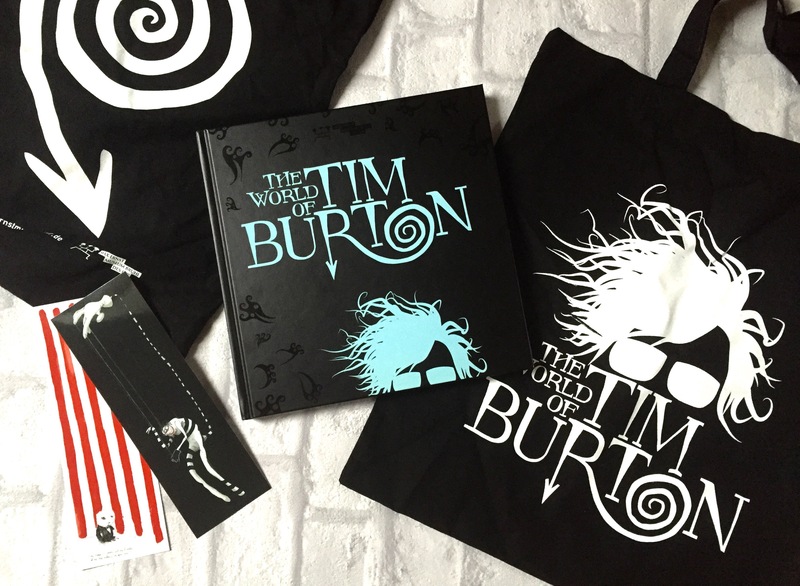 The Tim Burton week on the blog is the perfect reason for our first giveaway. MuseumLifestyle is online for about three months now and we decided at the beginning we would never make nonsense giveaways. But thanks to Max Ernst Museum and the publisher Hatje Cantz we are able to present you a big “The World of Tim Burton” giveaway this week. As I liked the exhibition and the catalogue so much and sharing is caring I asked the museum and the publisher if they would make a giveaway possible. And they did. So voilà! Giveaway ends August 24st at 11:59 AM(German time). Open to Residents of Europe only. Prizes cannot be shipped to PO Boxes. Winner will be selected by a random number generator and be notified by email. Winner have 48 hours to respond before a new winner is selected. Please note that MuseumLifestyle is not responsible for sponsors that do not fulfill their prizes. We have represented each sponsor with the expectation they will fulfill their prize and in a timely manner. We will ship the prize directly to you. The product provided for the review was free of charge from the company. The product offered for the giveaway is free of charge, no purchase necessary. My opinions are my own and were not influenced by any form of compensation. Facebook, Twitter and Google+ are in no way associated with this giveaway. By providing your information in this form, you are providing your information to MuseumLifestyle and us alone. We do not share or sell information and will use any information only for the purpose of contacting the winner. Was für ein tolles Gewinnspiel 🙂 ! Habe direkt mal mitgemacht, da ich aus der Nähe von Brühl komme, mir aber (auch nach deinen Beiträgen) immer noch nicht sicher bin, ob sich der (für mich) relativ hohe Ausstellungspreis lohnt. Die Filme von Tim Burton mag ich jedenfalls sehr gerne 🙂 . Liebe Grüße! Na wenn sich das für Fans lohnt dann muss ich da wohl für meine Verlobte mit machen… Sie ist ein kleiner Tim Burton Fanatiker… Vielleicht wirds ja was! Für mich als großen Tim Burton Fan ein fantastisches Gewinnspiel zu einer großartigen Ausstellung, die man jeden wärmstens empfehlen kann. Danke 🙂 wir finden auch, Glück muss man unter Fans teilen. Dein Giveaway ist der Knüller! Als großer Tim Burton Fan das Nonplusultra und ich drücke mir kräftig beide Daumen! Meine Frau ist der größte Tim burton Fan überhaupt sie hat sogar tattoo s von nightmare before christmas ich würde das gerne für Sie gewinnen. Ihr ermöglicht einem echt eine tolle Chance-Danke dafür! Ein schönes Paket!